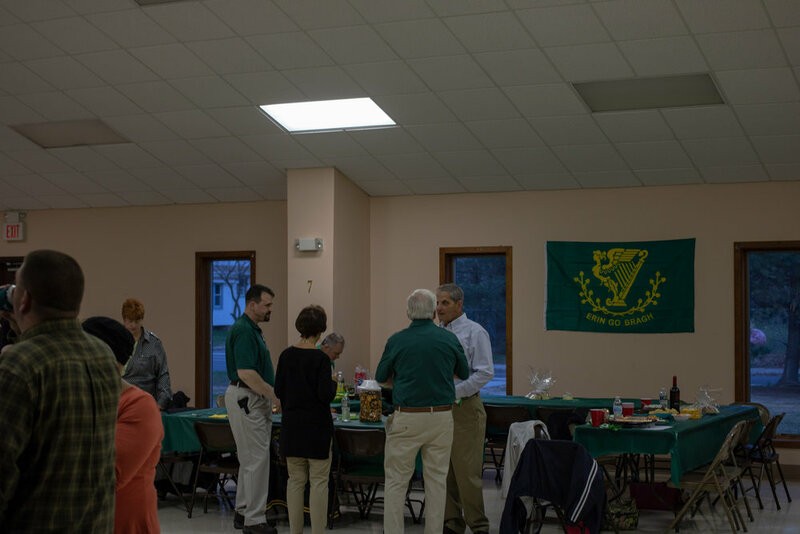 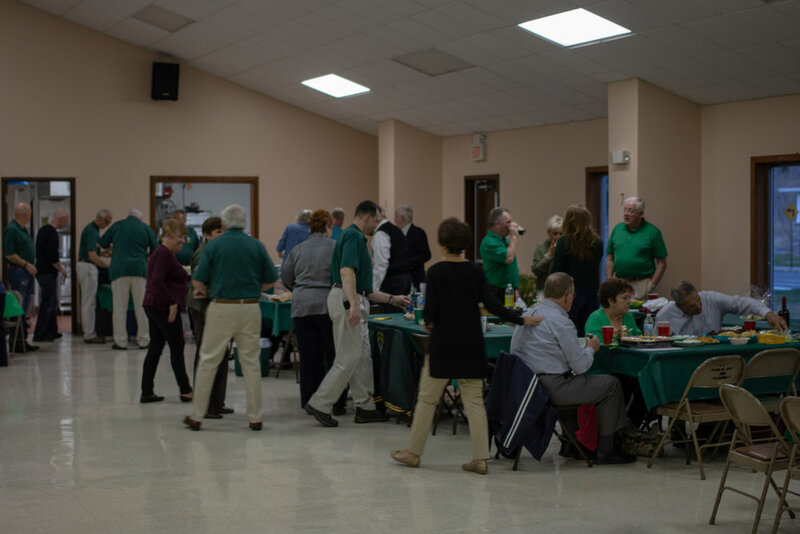 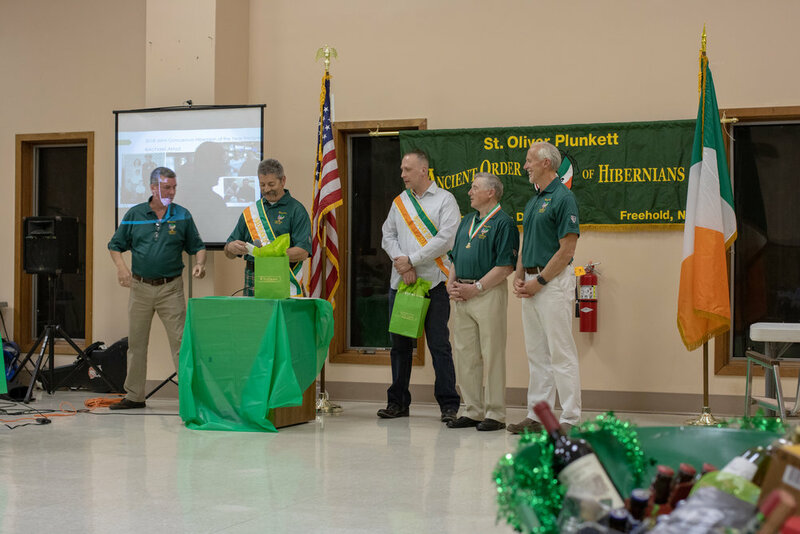 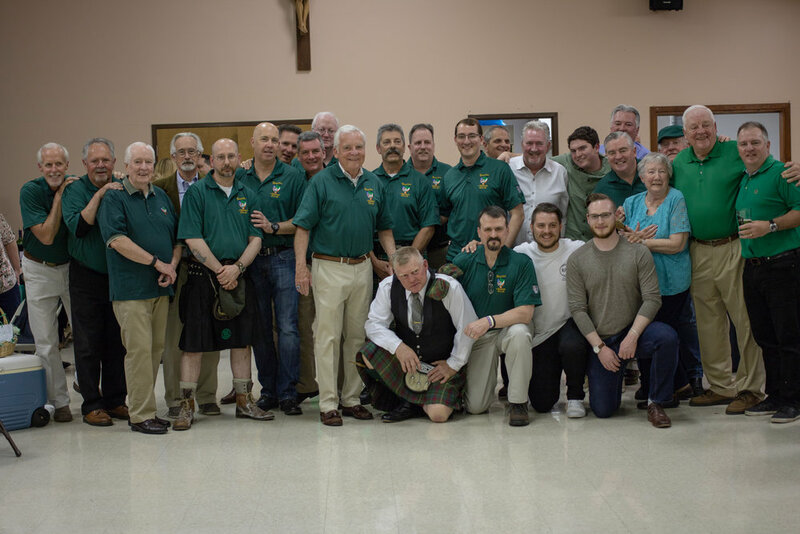 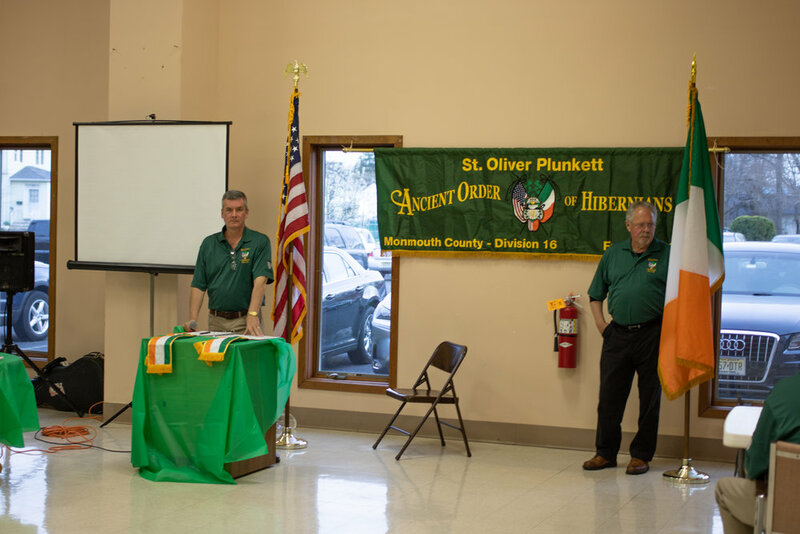 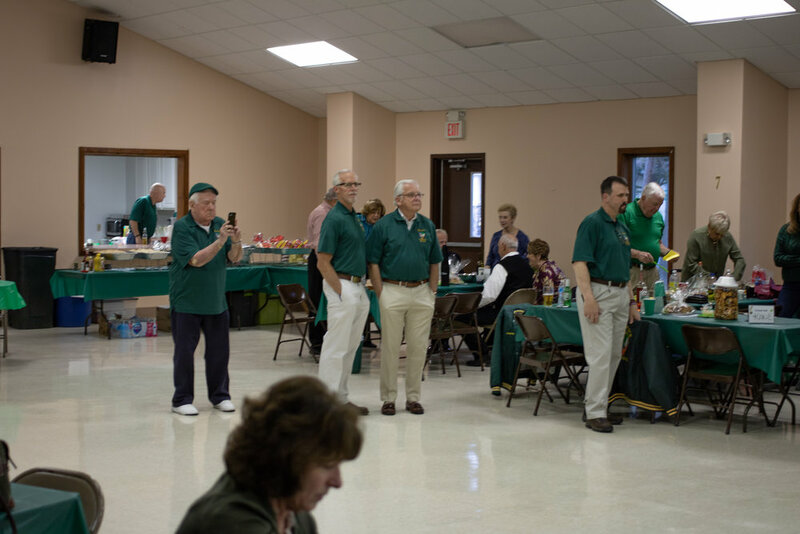 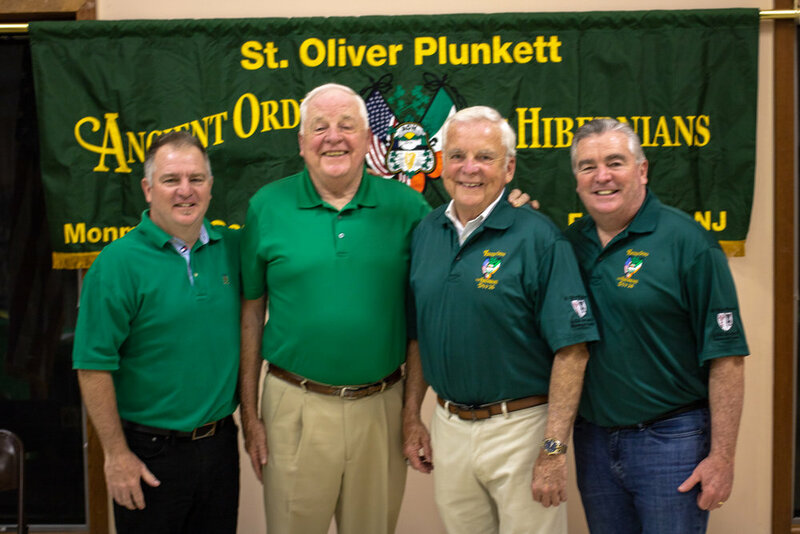 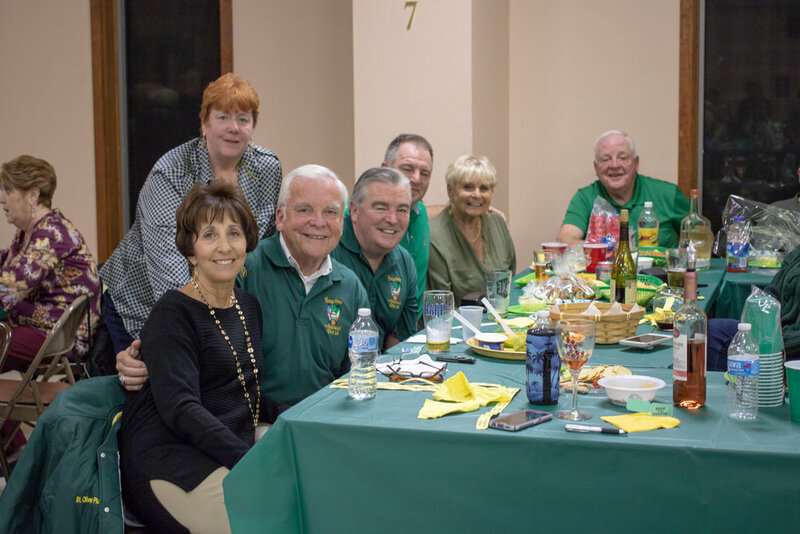 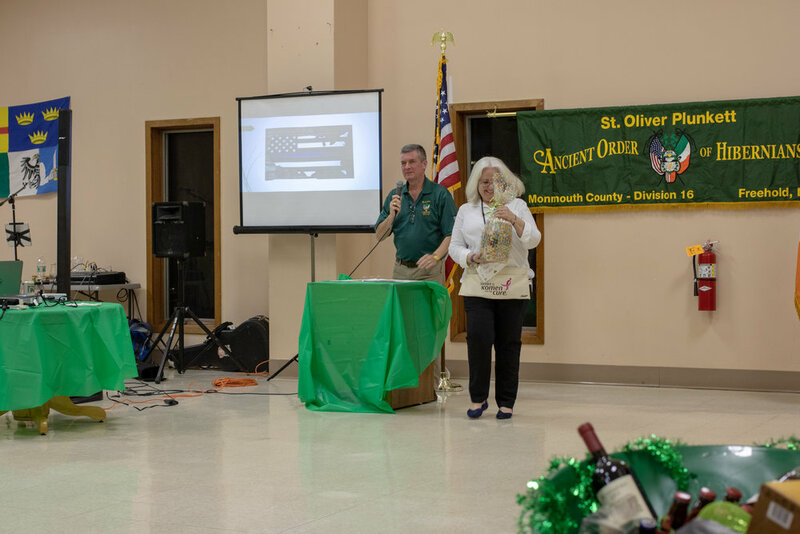 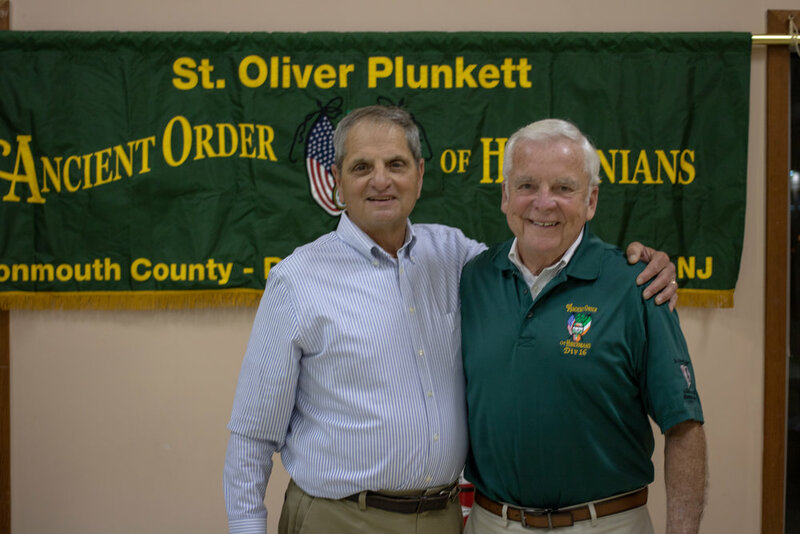 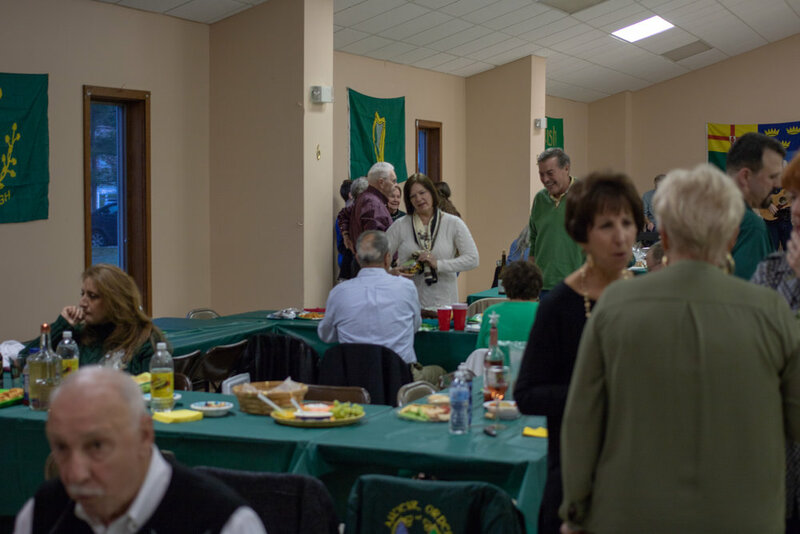 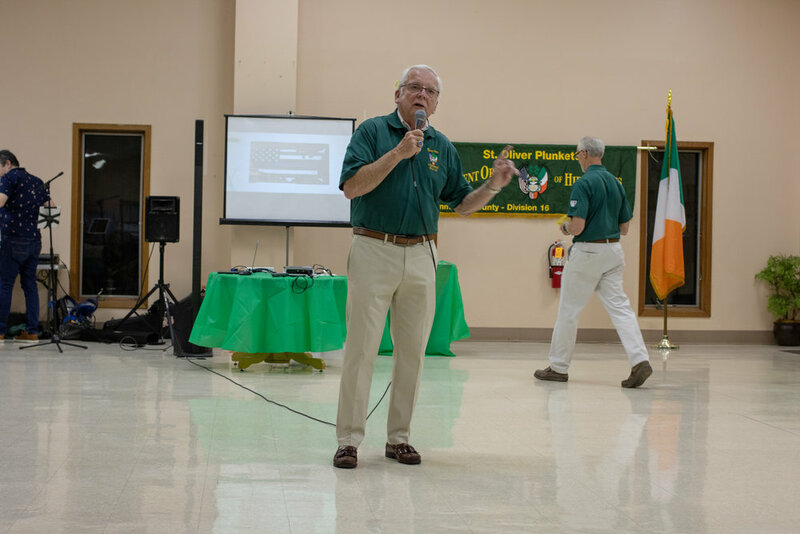 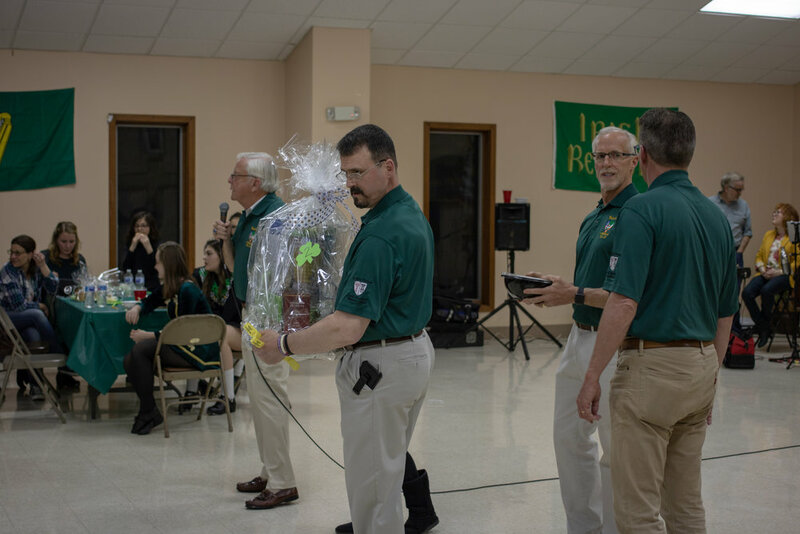 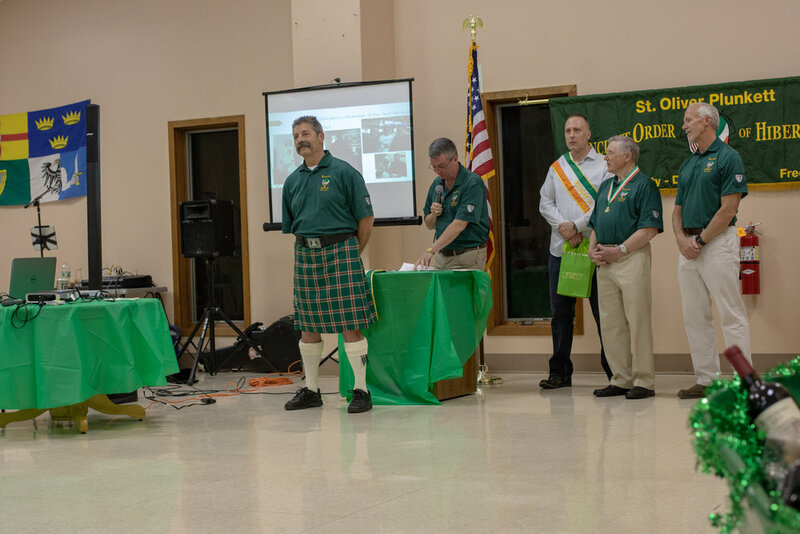 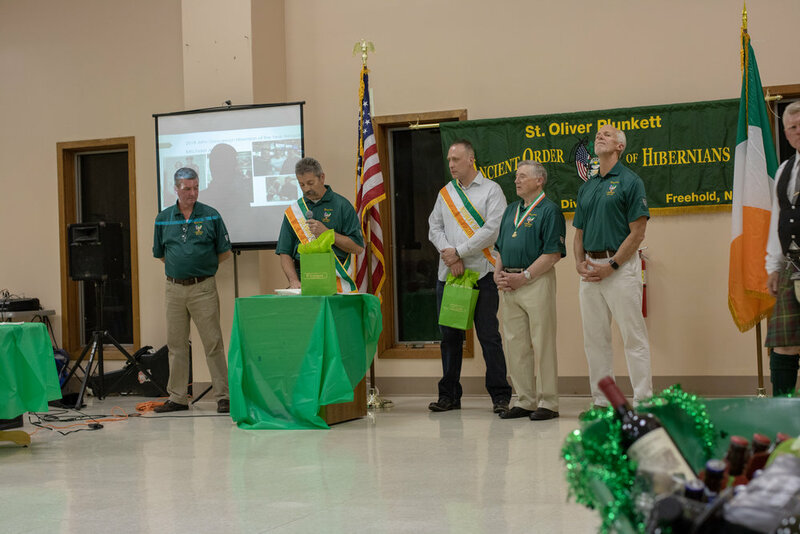 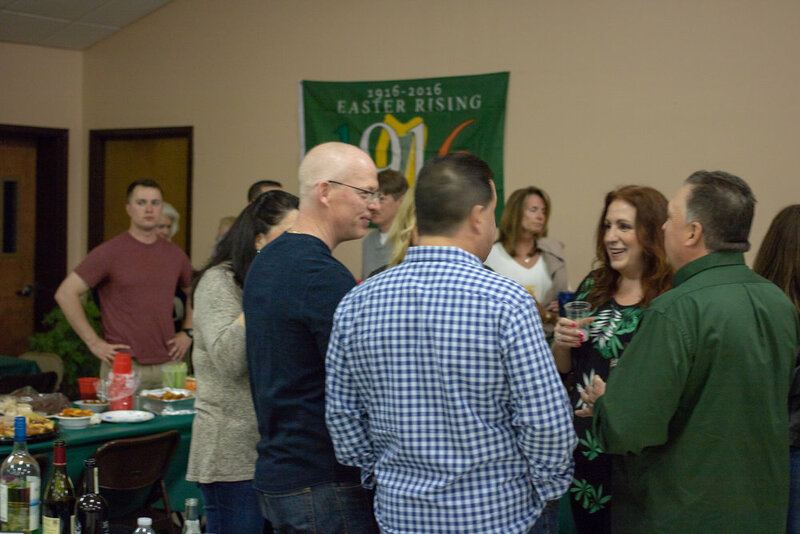 Each year, the men of AOH Division 16, and their friends and family, come together to acknowledge the events of the past year, recognize the Irishman of the Year and Hibernian of the Year, but also to remember all the good work that needs to continue. 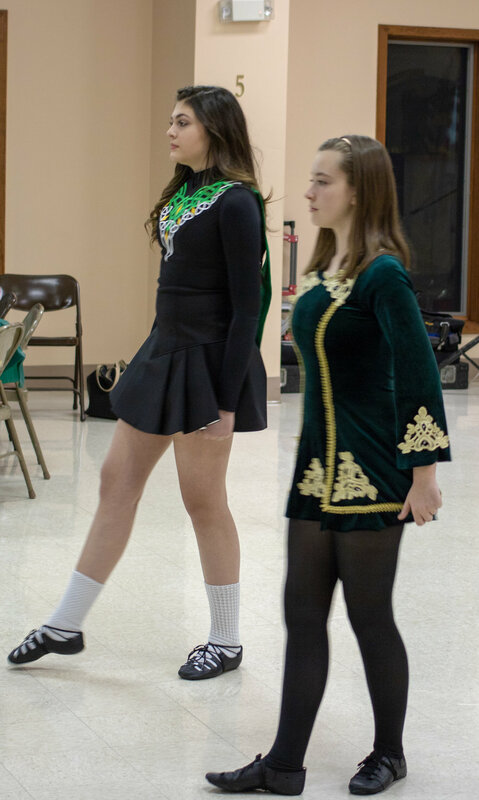 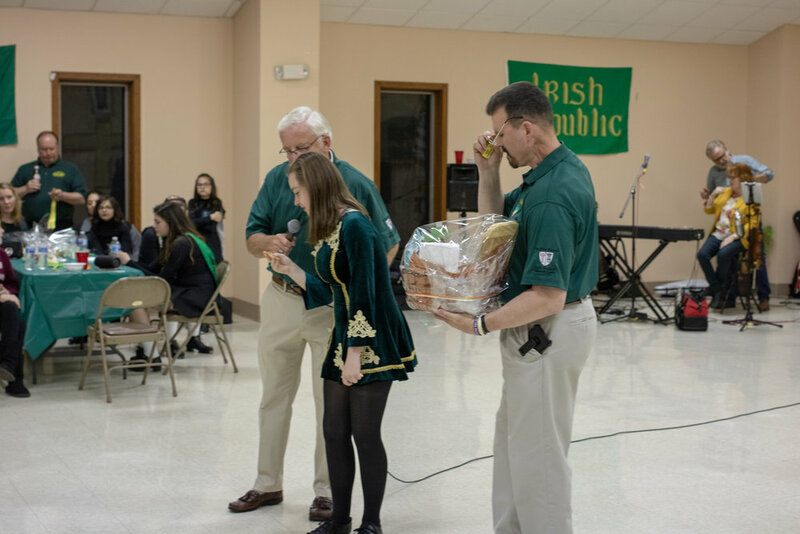 The Evening with the Irish is Division 16's largest event of the year and did not disappoint. 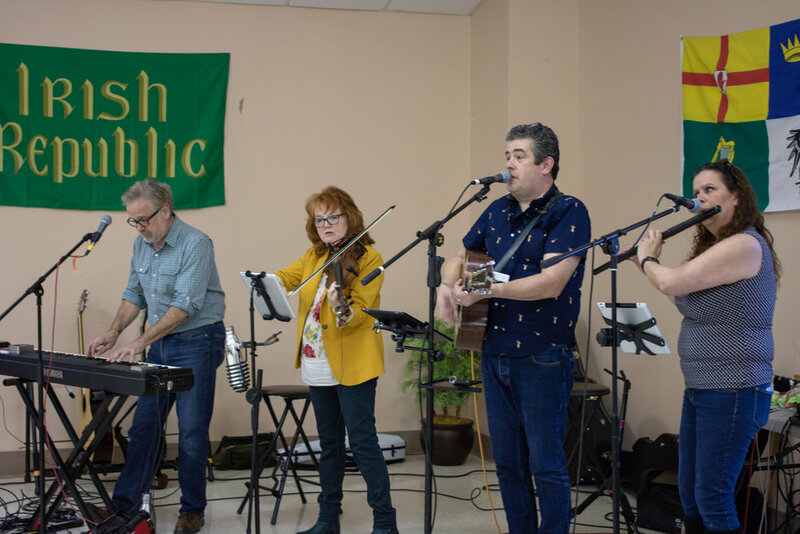 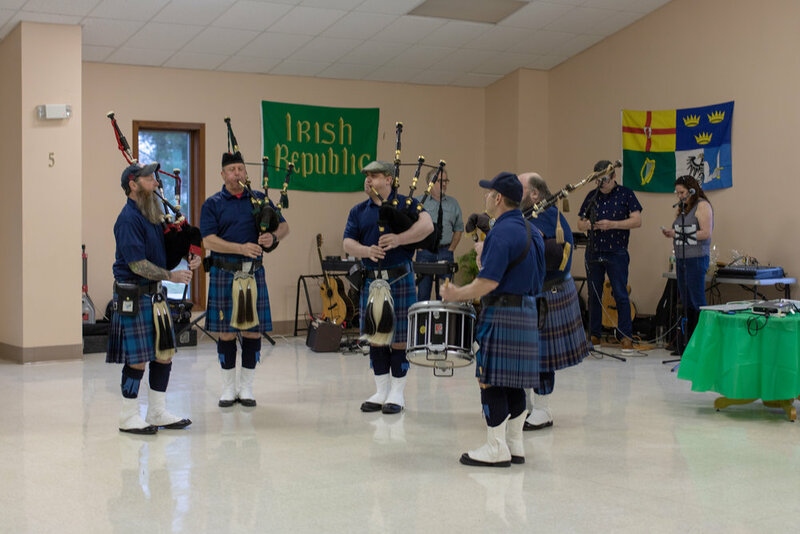 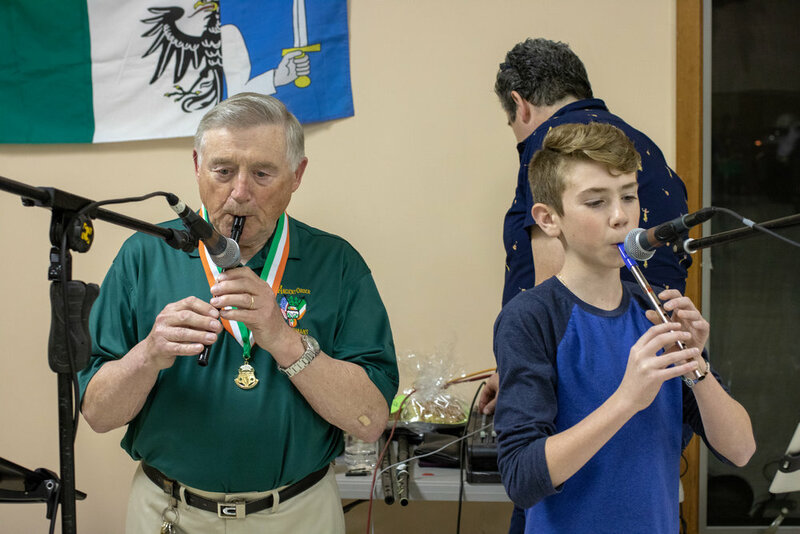 The evening was filled with laughs and the sweet sound of the pipe band, Blackwater, and of course Tim O'Sullivan, joined by his grandson, on the tin whistle! 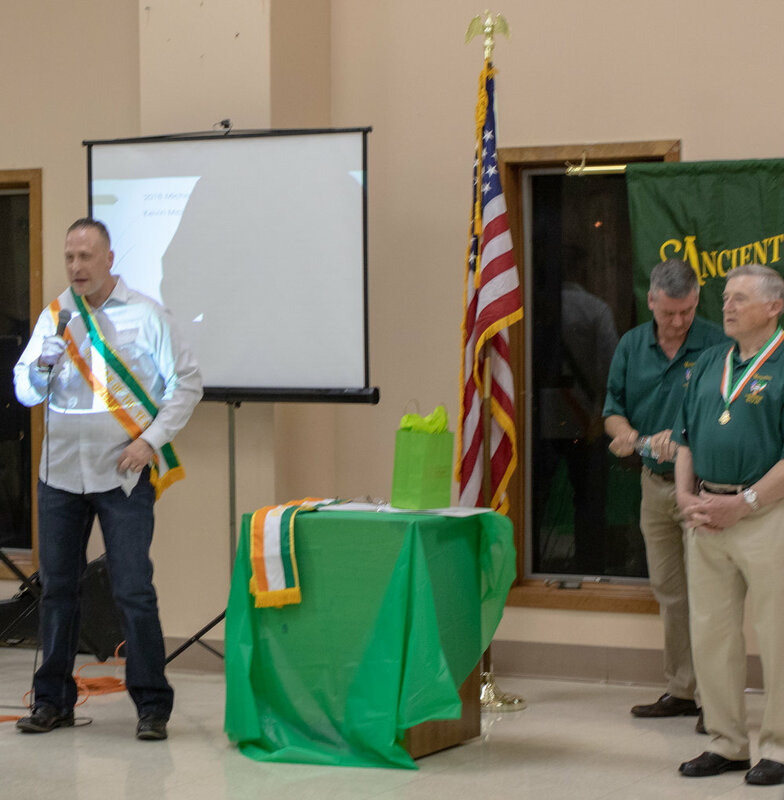 During the main event of the evening, we honored two fine gentlemen. 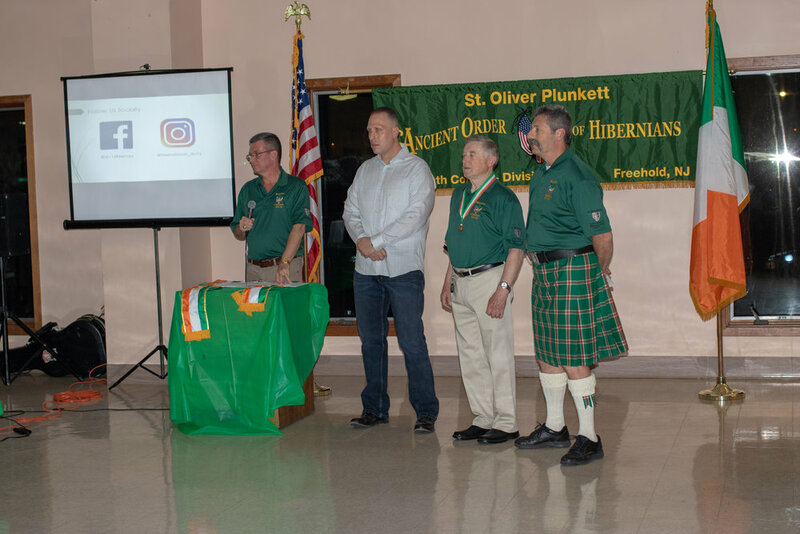 Kevin McIntosh was recognized as Irishman of the Year and Division 16's very own Mike Arnot was named Hibernian of the Year. 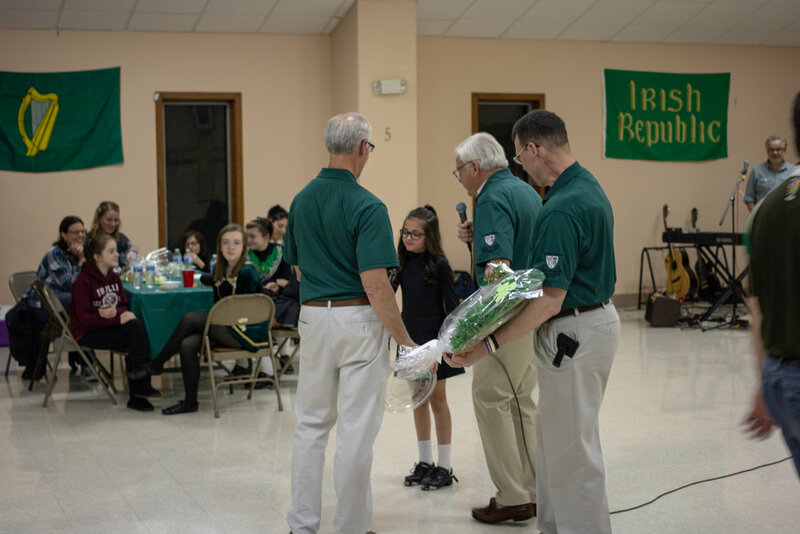 A very special thank you to both Kevin and Mike, and their families. 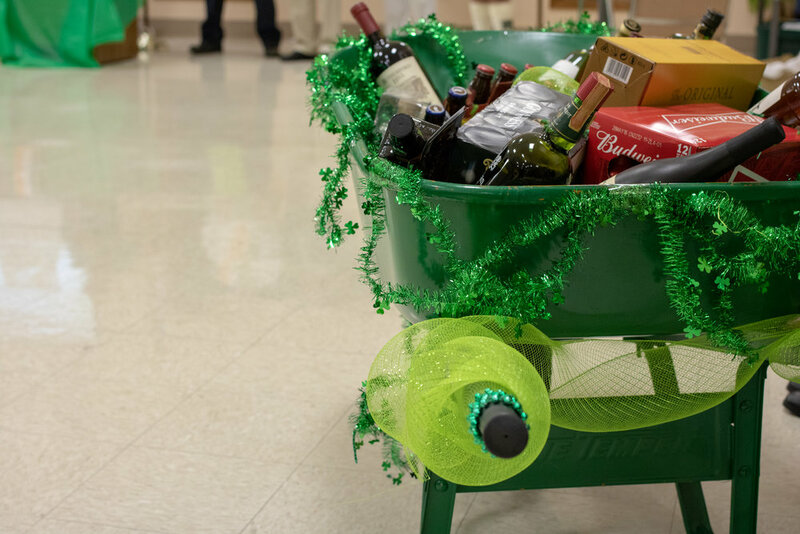 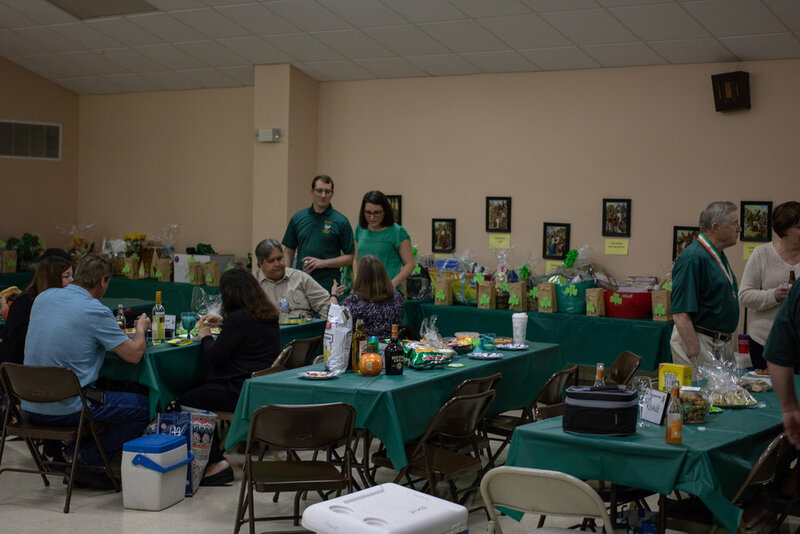 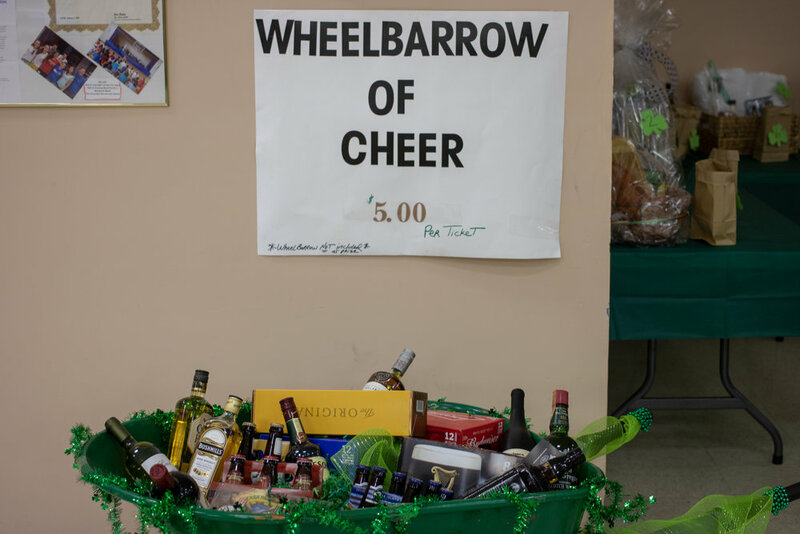 As the evening came to a close, we raffled off various gift baskets, the 50/50, Celtic Thunder tickets and the Wheelbarrow of Cheer.